Today developer VVildCard777 has released a new homebrew named 4.05 KernelDumper for the Playstation 4. Check out the release notes, changelog and the download link provided below. 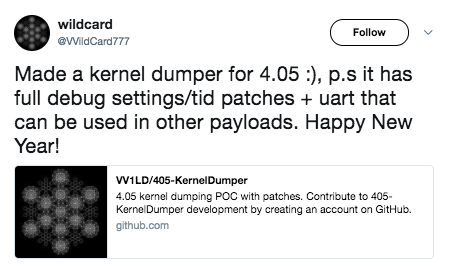 Made a kernel dumper for 4.05 :), p.s it has full debug settings/tid patches + uart that can be used in other payloads. Happy New Year!